After years of research, DiMarzio concluded that the most important characteristics for an acoustic pickup are the ability to "hear" the entire range of the acoustic guitar from top to bottom, track right- and left-hand dynamics, and+ respond immediately to the sound coming off the string. And that's what we have accomplished with The Angel. 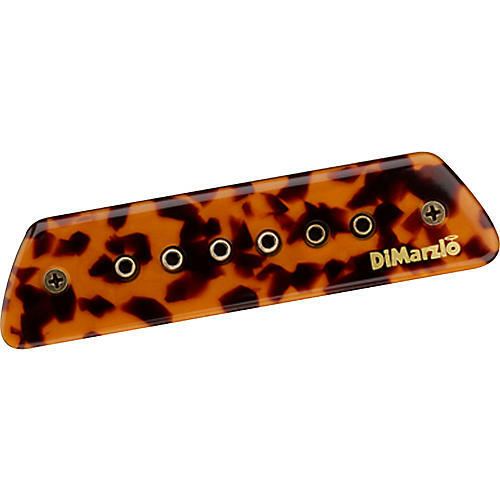 It's a magnetic, humbucking soundhole pickup with adjustable polepieces and plugin connections to either an endpin jack or standard guitar cable (both included).